What is it about human beings that we are rarely satisfied with that we already have? Greed, the hedonistic treadmill, “keeping up with the Joneses,” call it what you will — We’ve collectively got a happiness problem. Granted, that same insatiability is exactly what took us from smelly troglodytes to the elegant space-faring, atom-splitters we are today but it’s hard to refute there is something fascinatingly dangerous about the unending drive to amass, succeed, outdo, gather and perform. 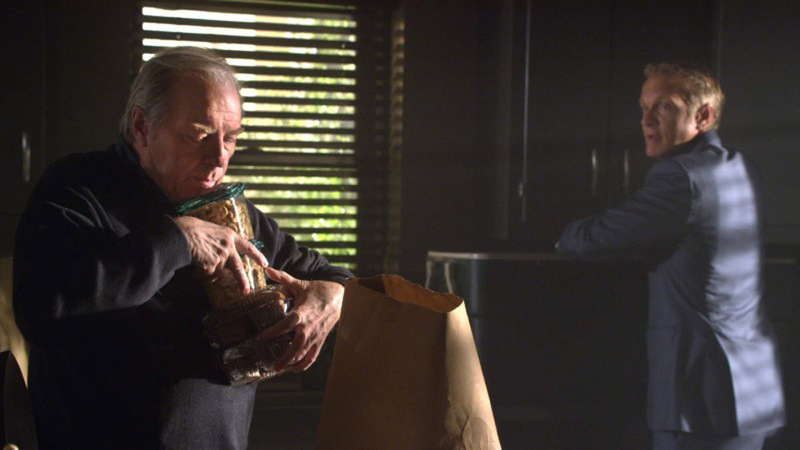 That sentiment is right at the heart of the latest episode of Better Call Saul and the drumming of this theme adds to the crawling identity of this show about…well, identity. “Cobbler” starts out by allowing us some alone time with Chuck McGill, the protagonist’s brother who was surprisingly missing from the season’s first episode. The brilliant, electrophobic lawman is shown playing the piano in his dusky home, getting increasingly frustrated with himself as he fails to string the notes together perfectly. A knock at his door produces Howard Hamlin, his law partner and assumingly a longtime friend, and the two engage in a conversation that eventually rounds to Chuck’s younger brother. As Howard explains that Jimmy is now employed with a major law firm and is on the way to major success we see the joy drain from Chuck’s face. Though not contemptuous his expression relates that this news does not sit well. The elder McGill represents perhaps the best Walter White allusion. I mean we all love Jimmy/Odenkirk but the conundrum of Chuck is superbly enthralling. Though the guy is trudging through a deep psychological issue he’s still got a pretty decent life in all regards yet somehow he’s blind to this as the seething disdain for his brother’s accomplishments floats to the surface. Much like our beloved Heisenberg there is very little noble about the stance, but somehow the audience can relate. A man works his whole life to become a highly respected attorney only to see himself basically matched by his corner cutting younger brother. There is something very raw and real there, an unapologetic commentary about the human capacity for jealousy and pettiness. Needless to say, I love it. More Chuck please! We see that come to fruition at episode’s end, but only when the story tightens to involve the satellite characters of Mike, Nacho and Pryce/Daniel. You could really make an argument that Mike is the recipient of one fourth of this spin-off. He’s pretty close to a co-lead and part of that is because the producers really like actor Jonathan Banks, but the more practical reason is that the writers are trying to marry the disparate personalities of Mike and Jimmy into the enforcer/lawyer team we see in Breaking Bad. As such he’s been basically rocking his own storyline for many episodes, until now. In the fortuitous spot of the literal gatekeeper of the Albuquerque municipal buildings Mike sees wannabe drug dealer Pryce, real name Daniel Wormald, stroll up in his gaudy SUV and ask if he’s in the right spot for the police station. Mike is droll and annoyed in his response, commanding Daniel to pull over so they can have a chat (I couldn’t help but imagine how Walter White would have reacted to this chance meeting, likely ducking and diving to avoid identification or setting something on fire to make an escape). After some whiny protests Daniel reveals he will continuously contact the 5-0 until they find his valued baseball collection. He is completely ignorant to the concept of “laying low” and Mike, being himself, begrudgingly tells Daniel he’ll retrieve the stolen keepsakes. In doing so he unearths a good bit of context on the show’s undercooked antagonist, Nacho. Mike tracks down Nacho who we find is employed at his father’s upholstery shop. We discover that his pops is a bit of a straight shooter and the two appear to be close. Feigning interest in redoing the interior of his hoop-dee Mike eventually gets Nacho on his own, threatens to expose his secret side business to his gangster friends and arranges the exchange of Daniel’s cards for the H2 Hummer. All seems settled until the police call Daniel’s cell looking to goad him into admitting what the secret cubbyhole in his baseboard was really holding. It would seem that Kim is the only one not looking for “more.” In the case of nearly every other character WANT reigns supreme. Breaking Bad’s Walt was driven by greed also but it stemmed from a place of survival and subsequently mutated into a series of power grabs. 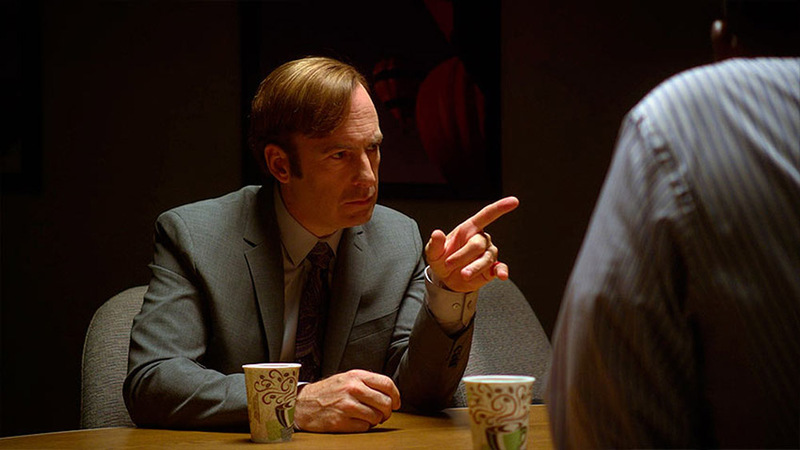 There’s something markedly different about the players of Better Call Saul. Whether it’s Chuck’s apparent need to diminish his brother to validate his own career, or Mike’s quest to provide a lucrative future for his granddaughter (which eventually leads to his murder), or Nacho’s ambition to earn outside of his crew despite living an reasonably comfortable life as the son of a business owner, or Jimmy’s thirst to satisfy his libertine needs whilst forgoing morality or fairness, this show offers a healthy host of characters begging for comeuppance. After an entertaining but generally uneventful premiere “Cobbler” escalated the plot appropriately. Yes, the show’s lacking a “ticking time bomb” and still needs to conjure better antagonism and conflict, but hour to hour it’s “keeping up with the Joneses” in regard to producing, fun, tragic excellent television. 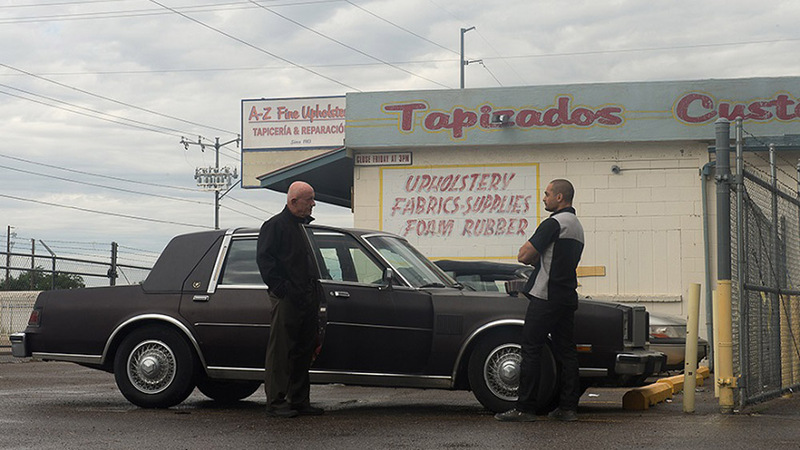 Better Call Saul 2.02 "Cobbler"